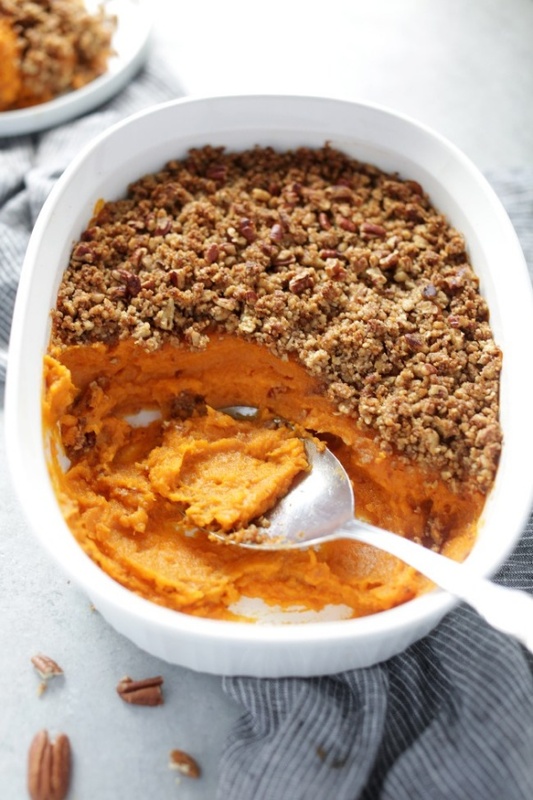 The Easiest Vegan Sweet Potato Casserole With Pecan Crumble - The best ever vegan sweet potato casserole with pecan crumble. Super easy to make, naturally sweetened with a delicious creamy base and a sweet & crunchy toasted topping. The perfect dish for the holidays!